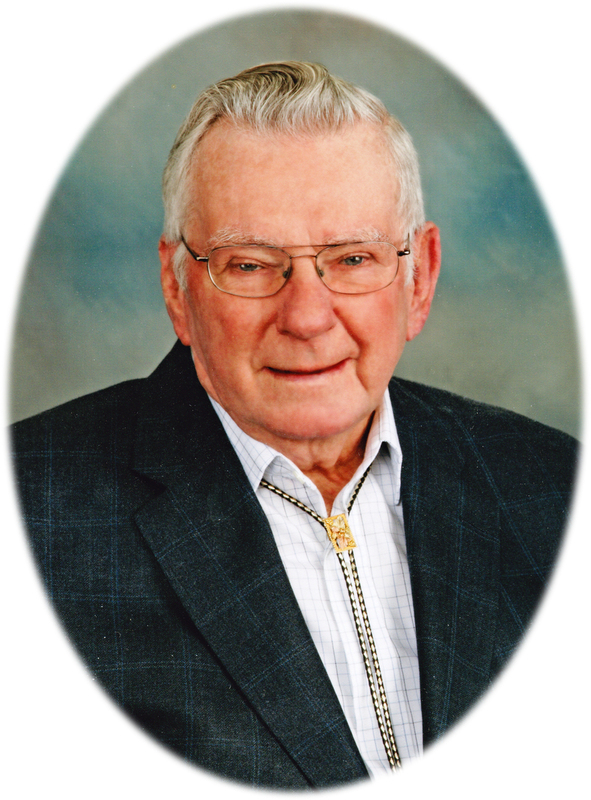 Melvern Heitzman, 84, of Mitchell, passed away on Monday July 2 at Avera Queen of Peace Hospital in Mitchell surrounded by his wife and children. Funeral services will be 10:30 AM Friday, July 6 at the Mitchell Wesleyan Church in Mitchell. Burial will be in the Emery Community Cemetery in Emery. Visitation will be Thursday from 5-7:00 PM at the Bittner Funeral Chapel. Melvern was born November 27, 1933 to Albert and Margaret (Eiseman) Heitzman on their farm south of Alexandria, SD. Melvern attended country school and then began farming with his father on the land homesteaded by his family south of Alexandria. Melvern married Dorothy Jung, the love of his life, on March 15, 1955. They were happily married for more than 63 years. They were blessed with three children, seven grandchildren, and five great-grandchildren. Melvern began his successful farming career with his father. He taught his children the value of hard work and the importance of family. His tradition and values are carried on by his family every day. Melvern accepted Christ as his Savior as a young man while attending Plum Creek Baptist Church in rural Emery. After he and Dorothy were married, they attended First Baptist Church in Emery. Upon retirement from farming the couple moved to Mitchell, SD where they attend the Mitchell Wesleyan Church. His faith in Christ was the cornerstone of his life. He passed his beliefs on to those he loved. Melvern was preceded in death by his parents, Albert and Margaret Heitzman and his father-in-law and mother-in-law, Edwin and Gertrude Jung. He is survived by his loving wife, Dorothy Heitzman, Mitchell; his three children; son Terry Heitzman (Sylvia) of Blaine, MN; daughter Cindy Lawrence (Jim) of Oconomowoc, WI; and son Monte Heitzman of Sioux Falls, SD; grandchildren Aaron Heitzman, Jill Kramer, Brian Heitzman, Kristie Lawrence, Jeremy Lawrence, Samuel Heitzman and Sarah Heitzman, and great grandchildren Everett, Ella, Easton, Cayden and Alaina; sister Darleen Hicks of Deadwood, SD; sister-in-law Della Deer of Aitken, MN; and brother-in-law and sister-in-law Dennis and Janice Jung of Madison, SD and many nieces and nephews. Melvern especially enjoyed having coffee with friends and discussing any aspect of farming. He also enjoyed spending time with family and watching high school basketball. Melvern will be greatly missed by his family and friends. His family will patiently wait for the day that they get to join Melvern in Heaven. In lieu of flowers the family requests memorials that will go to the Abundant Grace International discipleship counseling ministry or support missions in Nepal.